Carl Ransom Rogers (1902-1987), American psychologist, founder of humanistic psychology. Head and shoulders profile photograph. Undated photograph. 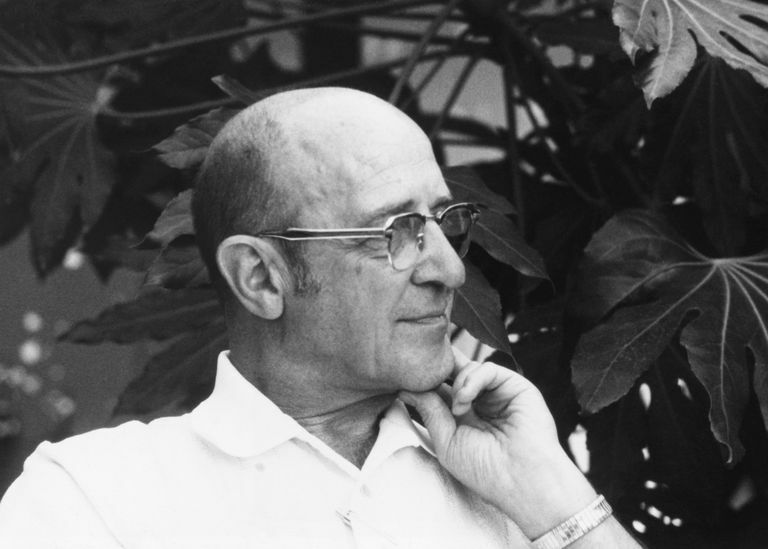 Carl Rogers (1902-1987) is considered one of the most influential psychologists of the 20th century. He is best known for developing the psychotherapy method called client-centered therapy and as one of the founders of humanistic psychology. Carl Rogers was born in 1902 in Oak Park, Illinois, a suburb of Chicago. He was the fourth of six children and grew up in a deeply religious household. He went to college at the University of Wisconsin-Madison, where he planned to study agriculture. However, he soon changed his focus to history and religion. After earning his bachelor’s degree in history in 1924, Rogers entered the Union Theological Seminary in New York City with plans to become a minister. It was there that his interests shifted to psychology. He left the seminary after two years to attend Columbia University’s Teachers College, where he studied clinical psychology, completing his M.A. in 1928 and Ph.D. in 1931. While he was still earning his Ph.D. in 1930, Rogers became the director of the Society for the Prevention of Cruelty to Children in Rochester, New York. He then spent several years in academia. He lectured at the University of Rochester from 1935 to 1940 and became a professor of clinical psychology at Ohio State University in 1940. In 1945 he moved to the University of Chicago as a professor of psychology and then to his undergraduate alma mater, the University of Wisconsin-Madison in 1957. Throughout this time he was developing his psychological perspective and formulating his approach to therapy, which he initially dubbed “nondirective therapy,” but is better known today as client-centered or person-centered therapy. In 1942 he wrote the book Counseling and Psychotherapy, where he proposed that therapists should seek to understand and accept their clients, because it is through such nonjudgmental acceptance that clients can begin to change and improve their well-being. While he was at the University of Chicago, Rogers established a counseling center to study his therapy methods. He published the results of that research in the books Client-Centered Therapy in 1951 and Psychotherapy and Personality Change in 1954. It was during this time that his ideas started gaining influence in the field. Then, in 1961 while he was at the University of Wisconsin-Madison, he wrote one of his most well-known works, On Becoming a Person. In 1963, Rogers left academia to join the Western Behavioral Sciences Institute in La Jolla, California. A few years later in 1968, he and some other staff members from the Institute opened the Center for Studies of the Person, where Rogers remained until his death in 1987. Just weeks after his 85th birthday and shortly after he died, Rogers was nominated for the Nobel Peace Prize. When Rogers started working as a psychologist, psychoanalysis and behaviorism were the reigning theories in the field. While psychoanalysis and behaviorism were different in many ways, one thing the two perspectives had in common was their emphasis on a human’s lack of control over their motivations. Psychoanalysis attributed behavior to unconscious drives, while behaviorism pointed to biological drives and environmental reinforcement as the motivations for behavior. Starting in the 1950s, psychologists, including Rogers, responded to this view of human behavior with the humanistic approach to psychology, which offered a less pessimistic perspective. Humanists championed the idea that people are motivated by higher-order needs. Specifically, they argued that the overarching human motivation is to actualize the self. Rogers’ ideas exemplified the humanists’ perspective and remain influential today. The following are some of his most important theories. Like his fellow humanist Abraham Maslow, Rogers believed humans are primarily driven by the motivation to self-actualize, or achieve their full potential. However, people are constrained by their environments so they will only be able to self-actualize if their environment supports them. Unconditional positive regard is offered in a social situation when an individual is supported and not judged regardless of what the individual does or says. In client-centered therapy, the therapist must offer the client unconditional positive regard. Rogers distinguished between unconditional positive regard and conditional positive regard. People who are offered unconditional positive regard are accepted no matter what, instilling the person with the confidence needed to experiment with what life has to offer and make mistakes. Meanwhile, if only conditional positive regard is offered, the individual will only receive approval and love if they behave in ways that meet a social partner's approval. People who experience unconditional positive regard, especially from their parents while they are growing up, are more likely to self-actualize. Rogers said that people have a concept of their ideal self and they want to feel and act in ways that are consistent with this ideal. However, the ideal self often doesn’t match with the person’s image of who they are, which causes a state of incongruence. While everyone experiences a certain degree of incongruence, if the ideal self and the self-image have a large degree of overlap, the individual will come closer to achieving a state of congruence. Rogers explained that the path to congruence is unconditional positive regard and the pursuit of self-actualization. Fully functioning people are congruent and have received unconditional positive regard. In many ways, full functioning is an ideal that can’t be completely achieved, but those who come close are always growing and changing as they strive to self-actualize. Self-image or how individuals see themselves. One’s ideas about self-image can be positive or negative and impact what they experience and how they act. Self-worth or the value individuals place on themselves. Rogers felt self-worth was forged in childhood through individuals’ interactions with their parents. Ideal Self or the person an individual wants to be. The ideal self changes as we grow and our priorities change. Rogers remains one of the most influential figures in psychology today. A study found that since his death in 1987, publications on his client-centered approach have increased and research has confirmed the importance of many of his ideas, including unconditional positive regard. Rogers' ideas about acceptance and support have also become the cornerstone of many helping professions, including social work, education, and child care.